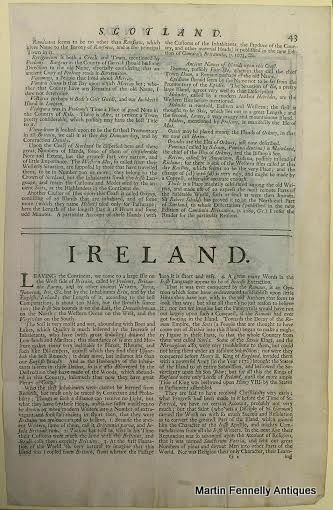 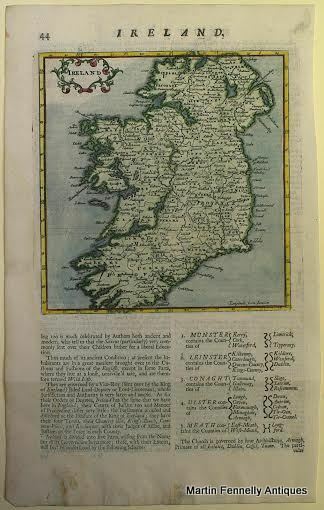 This is a very Rare and early Map of Ireland from1723. I found it in The UK and is taken from a Book of Maps and geograpgic detail by Herman Moll. 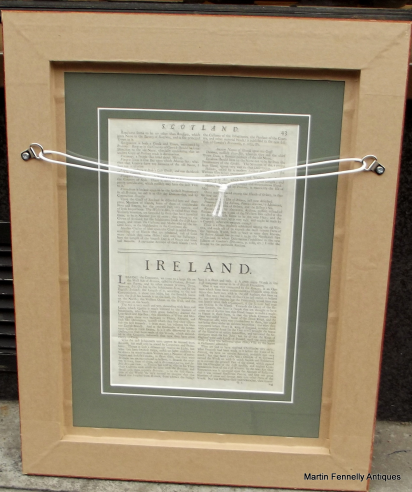 I have framed it with the print visible from front and back. Herman Moll is a famous Cartographer from this time and I am delighted to have located this one. 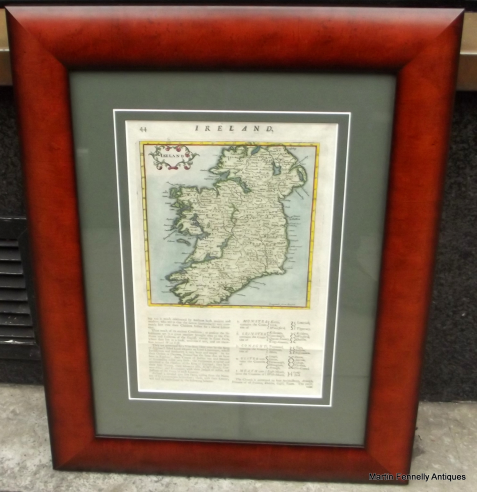 This Antique Map is in Good condition (bearing in mind age) and is Framed in a wonderful Maple Frame.